From April 23rd - 27th, the two-year German CeMAT International Logistics Exhibition was held in Hannover, Germany. 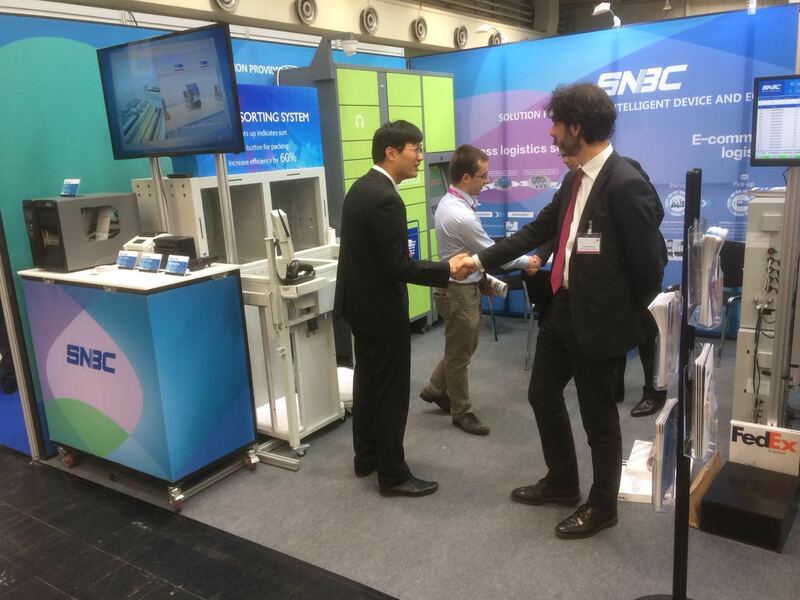 SNBC, a provider of smart terminal/equipment solutions, took part in the event with a new logistics industry solution. As one of the world's largest and most influential logistics field exhibitions, the theme of the CeMAT exhibition centered on “Connected Supply Chain Solutions” to open a new chapter in smart logistics, technology logistics, and technical equipment. The exhibition brings together the world's best and most extensive logistics technology and equipment companies, fully demonstrating the cutting-edge science and technology, innovative ideas and service concepts in the logistics field today. During the exhibition, SNBC represented express logistics and e-commerce warehousing logistics solutions. 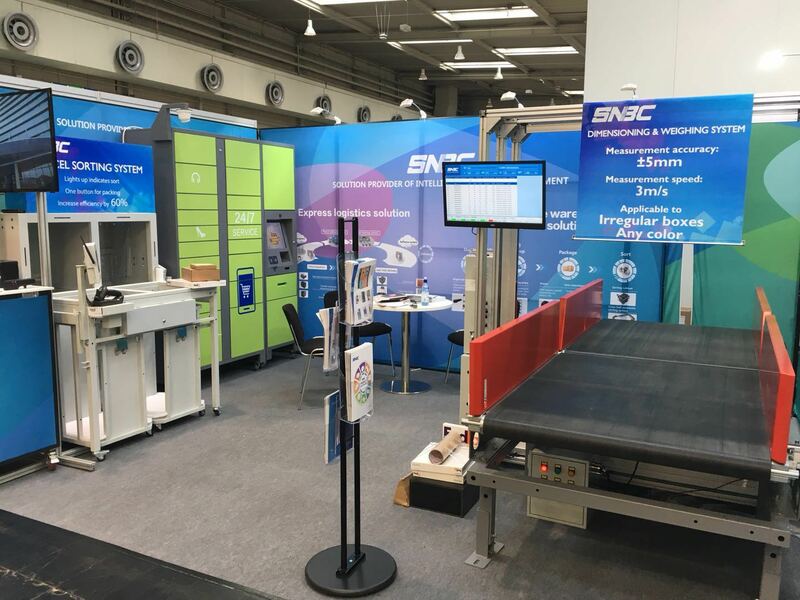 It exhibited diversified integrated solutions covering information, automation, and terminal distribution solutions, attracted logistics and systems integrated companies and industry experts from all over the world. Sorting cabinets, dynamic DWS systems and parcel locker rely on years of technology accumulation and successfully application in the domestic logistics market, have become star products on the spot.